The organizing committee for Paris 2024 released a press kit on its recommendations to the International Olympic Committee. The committee recommended break dancing, surfing, skateboarding and sport climbing. Other sports that were included as “finalists” were baseball, squash and karate. In recent Summer Games, the IOC has allowed the host country’s organizing committee to propose new sports. Baseball and karate will be included in the Tokyo 2020 Games, along with surfing, sports climbing and skateboarding. The Paris 2024 Organizing Committee recommended the four sports to “emphasize its goal of creating spectacular, urban and sustainable Games. These will not only provide a fitting showcase for athletic performance but also engage young people and the wider public through lifestyle sports.” The World Confederation of Billiard Sports (WCBS), the world governing body for all billiard sports and a member of the IOC, launched an effort to have billiards included in 2024 by forming a Billiards 2024 Committee. The committee hosted a press conference to announce its intent at the Eiffel Tower in Paris in early December. The WCBS also launched an online petition to demonstrate the sport’s worldwide appeal. The World Snooker Federation (snooker), World Pool-Billiard Association (pool) and World Billiard Union (carom) make up the WCBS. Billiards 2024 Committee Coordinator Jean-Pierre Guiraud was not available for comment at the time of this post. More information will be released as it comes in. 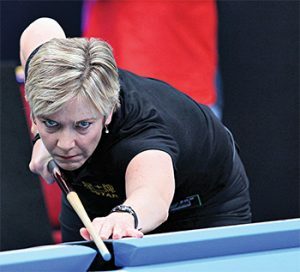 That old adages seems perfectly appropriate in 2018, as former champions Gerda Hofstatter-Gregerson and Kim Davenport earned election into the Billiard Congress of America Hall of Fame, the BCA announced today. The Austrian-born Hofstatter-Gregerson, 47, had been on the Greatest Player ballot for seven years and finished second in voting three times. Davenport, 62, had been on the Greatest Player ballot for nearly 20 years. He was recommended this year by the Veterans Committee, which reviews the records of players who had not gained election on the general ballot prior to turning 60. 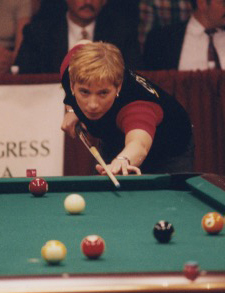 A longtime star on the Women’s Professional Billiard Association Classic Tour, Hofstatter-Gregerson was 10-time European Champion before moving to the U.S. in 1993 to join the WPBA. She won 10 Classic Tour titles in eight years. 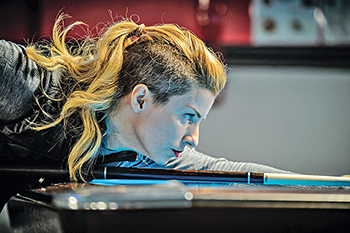 She also won the World Pool-Billiard Association World 9-Ball Championship in 1995, the WPBA National Championship in ’97 and the BCA Open 9-Ball Championship in 2000. 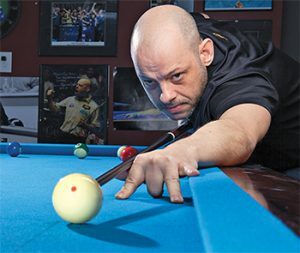 Davenport hit his stride on the men’s pro tour in 1998, winning the highly regarded Japan Cup and Eastern States 9-Ball titles. After adding three more titles in 1989, Davenport won the Brunswick Challenge Cup in Sweden, the Sands Regency Open and the B.C. 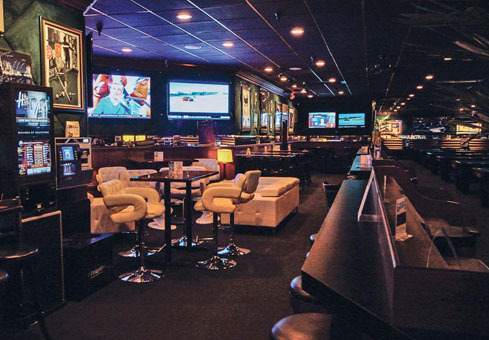 Open in 1990, earning Player of the Year honors from Billiards Digest. Hofstatter-Gregerson and Davenport will be formally inducted as the 71st and 72nd members of the BCA Hall of Fame on Friday, Oct. 26, at the Norfolk Sheraton Waterside in Norfolk, Va. The 43rd US Open 9-Ball Championship will take place at Mandalay Bay Resort and Casino, Las Vegas from Sunday, April 21 until Friday, April 26, 2019. 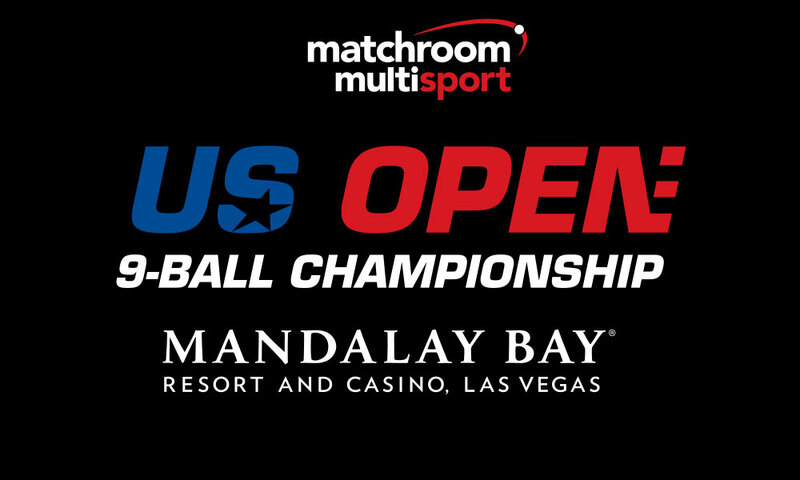 Matchroom Multi Sport acquired full ownership of the US Open 9-Ball Championship in a ground-breaking agreement last month and the tournament will move to Las Vegas for its 43rd staging as part of a long-term goal to take the event into the sporting mainstream. The prize fund will be set at a guaranteed $300,000, the biggest ever for the event. 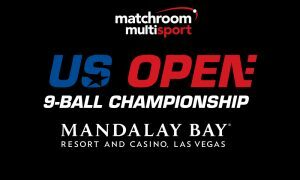 Matchroom Sport Chairman Barry Hearn commented, “I am delighted that we will be partnering with Mandalay Bay in delivering this new era for the US Open 9-Ball Championship. This is going to be a must-see event for every pool fan in America and we also hope to bring new fans into the game. Ticket details for fans and entry details for players will be made available shortly. The format will be double elimination on a multi-table set up down to the last eight on the winners and losers sides. The final stages will feature the last 16 players in straight knockout on a single table in a huge arena. All matches will be races to 11 with the exception of the final. Players and fans wishing to book accommodation at Mandalay Bay for the US Open will be able to take advantage of exclusive rates once tickets are on sale. 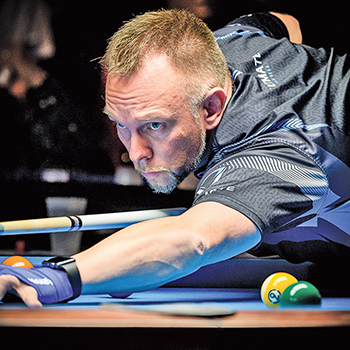 After several months of questions and speculation, the mystery surrounding the future of the U.S. Open 9-Ball Championship has been unveiled. British event producer Matchroom Sport, promoters of the Mosconi Cup, World Pool Masters and World Cup of Pool, has taken over ownership of the world’s longest-running major pool tournament. 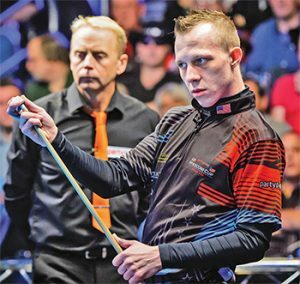 According to both Matchroom Sport president Barry Hearn and Brady Behrman, son of the late U.S. Open founder Barry Behrman, a deal was signed that gives Matchroom “complete ownership” of the 42-year-old 9-ball championship. “There are probably only four or five major pool events out there,” said Hearn in a phone interview with BD. “They may not all even necessarily be profitable events, but they have history and profile. One of them is the U.S. Open. I think Matchroom has most, if not all, of the others. We like to have control of a brand, and our brand is 9-ball. 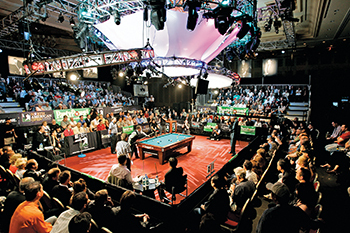 Hearn confirmed that the Matchroom-produced 43rd U.S. Open 9-Ball Championship would not take place until 2019, and that the event will shift to Las Vegas and boast an increased prize fund. “We’re going to smash it up right from the start!” Hearn said. “This relationship is not about ownership or money,” said Brady Behrman, who assumed control of the U.S. Open with sister Shannon Paschall following Barry Behrman’s death in 2015. “It’s about the event itself and growing pool. Knowing that our father went down this path, and knowing how he cared for the event, the fans, the players, the industry and that he wanted the event bigger and better, there is no doubt that Matchroom will carry on our father’s legacy. “My dad once said before a finals match, ‘These players should be playing for $100,000, but I can’t do it alone.’ With Matchroom, we’ll see increased prize funds and international expansion of content syndication for the Open, which ultimately grows the event, the purse and the nostalgia of the U.S. Open.” Behrman said he contacted Matchroom in January to gauge their interest in taking over the event. In fact, Barry Behrman had contacted Hearn nearly four years ago with a similar offer. “Barry contacted me a few years ago about the Open,” Hearn recalled. “He was enthusiastic and loved being the front man for the event. He wanted someone else to assume the risk, but at the same time he wanted to maintain control. I considered it briefly because I’m a pool fan. But it would have been financial suicide. Questions about the future of the U.S. Open surfaced in February when Behrman informed the Sheraton Norfolk Waterside Hotel, site of the U.S. Open for the past three years, that the 2018 event would not be held there. The Sheraton had been holding the week of Oct. 21-27 for the annual tournament. Accu-Stat’s founder Pat Fleming, who had taken over as the event producer for the past two years, said in February that talks with Behrman had gone nowhere and that his future as part of the event — as event and/or live stream producer — was unclear. Based on that uncertainty, and with the Sheraton about to release the October dates, Fleming announced plans to produce his own international 9-ball event at the Sheraton in the U.S. Open’s stead. [See side story below.] Meanwhile, Hearn pointed to the U.S. Open’s potential as one of the factors in procuring the historically rich tournament. “The value of the U.S. Open is its history,” the promoter said. 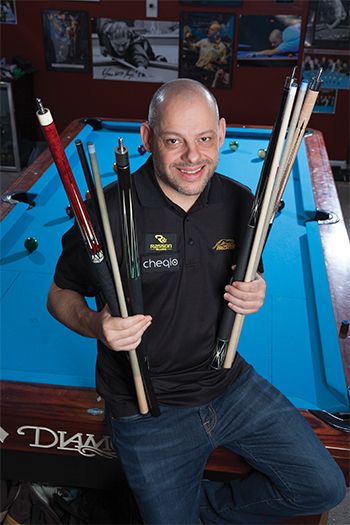 “Our goal is to make the U.S. Open 9-Ball Championship a global event. “The sports business is all about perception” Hearn continued. “Perception to the broadcasters and audience and to the public about how big an event is. How big an event is and how it is perceived is all in your hands. When we do big boxing events, the perception is that if you don’t get a ticket on the first day, they’re gone. That snowball works. In darts, we sell 11,000 tickets in 10 minutes. We’ve built the perception that these are must-see events. “In pool, you can show up whenever, or if, you feel like it. That’s a killer. The Mosconi Cup now shows what you can do in pool. You can create that demand and that perception. In pool in the U.S., there has never been that fear factor that you might miss out.” While increased prize funds and first class production are important, what Matchroom brings to the U.S. Open’s future is broadcast reach that the event has not yet enjoyed. Accu-Stats-produced broadcasting of the U.S. Open over the years has satisfied fans willing to pay to view the event, and rights deals did deliver packaged content to parts of Asia, but the addition of the U.S. Open to Matchroom’s vast portfolio of sporting events ensures a wider audience. Neither side would discuss details of the U.S. Open’s sale, other than to say that the Behrmans were paid a nominal license fee, with potential to share in future profits. According to Hearn, as part of the deal, Behrman and Paschall will have input, but Matchroom will have the final say on event decisions. Hearn added that particulars about the U.S. Open under his stewardship are still being worked out, but international qualifiers will be part of the equation. “We will make the U.S. Open truly global,” he insisted. “I want players from around the world. More importantly, I want people around the world talking about the U.S. Open. “We have an ego as well,” Hearn said. “We like to grow events. Can we ever get to a $1 million prize fund? One thing players know is that with Matchroom you get paid and you get top money.” As big as the U.S. Open is in America’s pool history, Hearn insists there is much work ahead. “This is a big job to be done,” he said. The U.S. Open is 42 years old and it hasn’t grown. How do you fill an arena for the U.S. Open like we do for Mosconi? We need the event to be inspirational. We need to inspire. We have to have kids saving their money for their entry fee or to make the trip to Vegas to watch the U.S. Open. 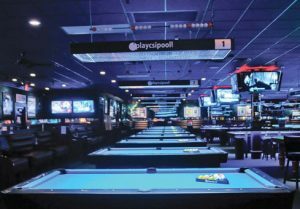 The Sheraton Norfolk Waterside Hotel in Norfolk, Va., will, indeed, host a major pool tournament in late October for the fourth consecutive year. But it will not be the 43rd Annual U.S. Open 9-Ball Championship. Accu-Stats founder and promoter Pat Fleming said he has signed a contact with the Sheraton to run his own international tournament on the dates previously held for the U.S. Open. 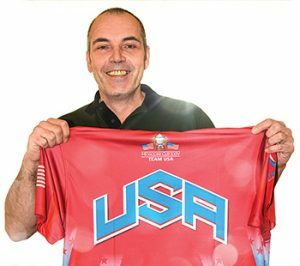 Fleming announced his intention to run an event called the U.S. International Open, Oct. 21-17, 2018, at the Sheraton. He did so without knowledge that U.S. Open owners Brady Behrman and Shannon Paschall, the son and daughter of late U.S. Open founder Barry Behrman, were in the midst of selling the U.S. Open to Matchroom Sport. “The dates were saved with the Sheraton for Oct 21-27, 2018,” said Fleming. “The [World Pool-Billiard Association] blocked those dates on their calendar. We also made some commitments with hotel for risers and such. Fleming said he send the Behrmans an email stating his intention to move ahead with his own event. “I have the support of Diamond Billiard Products and WPA sanctioning,” Fleming said. Fleming said he plans to restrict the field to 128 players. The prize fund will pay 32 places, and the payout will be the same as the 2017 U.S. Open: $40,000 for first place and $2,250 for 24-32. As with the U.S. Open, the entry fee will be $1,000. 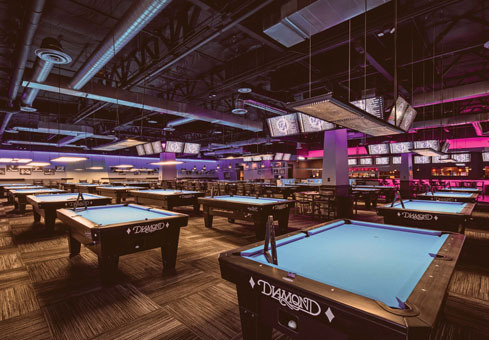 While poolrooms struggle across the country, two industry veterans open sparkling new rooms in the Southwest U.S., with hopes of changing the public’s perception of the game. Ask anyone in the industry how to fix pool or how to save pool or what to do to re-energize pool, and you better not have a dinner reservation in 15 minutes. That one question can elicit a wide range of answers. All it needs is another “Color of Money”… We gotta get kids playing pool instead of video games… The big companies and leagues need to work together to promote the game… These proposals, individually, are not wrong — but they are far from short-term, practical fixes. One person isn’t going to get junior leagues up and running across the country. A slick advertising campaign isn’t going to create millions of new players. Any comprehensive solution will have to gain traction at a grassroots level. Changing perceptions of the game will require widespread effort, in addition to any a top-down solutions. 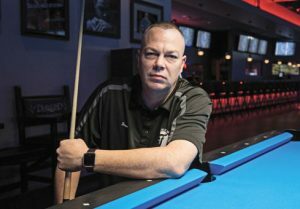 Two new poolrooms — Scott Frost’s Freezer’s Ice House in Tempe, Arizona, and Mark Griffin’s eponymous Griff’s in Las Vegas — are aiming to support those already bitten by the pool bug, while also attracting those adjacent to players and fans. 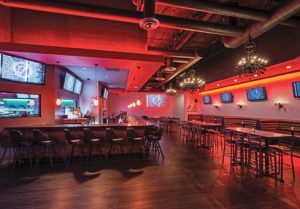 These sprawling spots — Frost’s is 15,000 square feet; Griffin’s is 8,300 — are hoping to improve pool’s image by attracting players and a casual crowd who may just want a beer, a burger and a place to watch the game. Freezer’s is a multi-purpose entertainment center, but pool is the primary draw. 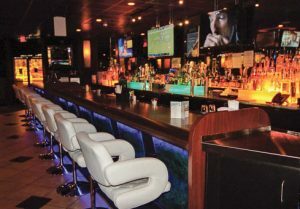 In addition to pool, Freezer’s features a sports bar/lounge and restaurant. Griff’s features 25 Diamond pool tables and lures players from national tournaments with a shuttle service. Griffin (left) spent $1 million remodeling an existing room, and plans to add video gaming. Frost didn’t waste time when he got the go-ahead from Chance to scout for possible locations for a room in 2016. He visited more than a dozen potential sites in the Phoenix area, eventually setting his sights on a freestanding building at the corner of a bustling intersection in Tempe, Arizona. Just a few blocks south of the Arizona State University campus, the spot promised plenty of drive-by traffic, along with the interior space to build a multi-faceted room with pool tables, a lounge/nightclub area and a bar and grill. But wanting and having are two different things. “People ask what was the most stressful part of this whole project,” Frost said. “Far and away, it was negotiating the property.” Bidding against a local organic grocer, Frost spent three months in discussions with the owner before his bid was accepted. Matchroom Multi Sport is delighted to announce Partypoker as the title sponsors for the 24th annual Mosconi Cup at Mandalay Bay Resort, Las Vegas from 4th to 7th December. Partypoker.com is one of the oldest, most recognized and trusted online poker brands. Launched in August 2001, partypoker.com is one of the pioneers of the online poker industry. 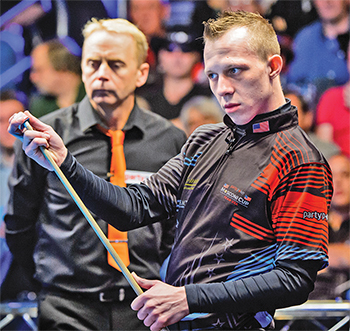 The partypoker Mosconi Cup returns to Las Vegas this winter as Team USA look to finally wrestle the famous Cup back from the hands of the Europeans. Renowned coach Johan Ruijsink has taken over the reigns as captain for the hosts, who hope he can have them same impact on America as he did with Europe while Marcus Chamat’s men are out to continue to reign supreme on pool’s greatest stage. Matchroom Sport Chairman Barry Hearn said: “We are delighted partypoker will once again be title sponsors of the Mosconi Cup. They have a long-standing relationship with both Matchroom Sport and the tournament, which is undoubtedly the greatest show in pool. Partypoker Mosconi Cup XXIV takes place from Monday, December 4th until Thursday, December 7th and will be broadcast live throughout on Sky Sports in the UK. The tournament will have a wide international TV reach, with details of global broadcast partners to be announced in due course. 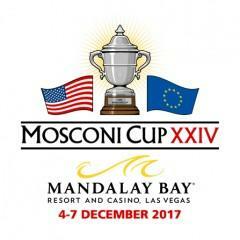 Tickets for partypoker Mosconi Cup XXIV are available now at www.mosconicup.com. Tickets start from $48 per session with season tickets comprising all four sessions from £161. Premium and VIP packages are also available. 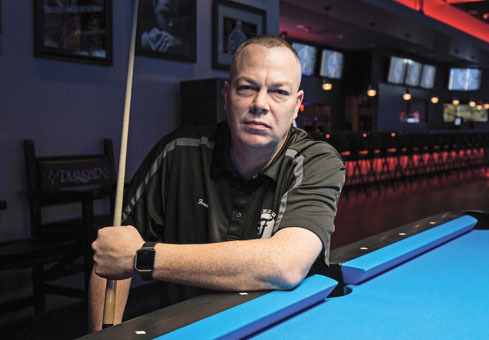 Darren Appleton was already 30 years old when he made the move from English 8-Ball to American Pool, and soon thereafter from Yorkshire, England, to the United States. But in 11 short years, the doggedly determined former boxer made an indelible mark on the game, winning three world championships in three different disciplines and nearly a dozen more major titles. For his efforts, Appleton has been elected into the Billiard Congress of America Hall of Fame, the BCA announced today. After a decade during which he was the world’s top-ranked English 8-Ball player seven times, Appleton made his move to American Pool in 2006. After honing his skills in the Philippines over the course of the next two years, Appleton shocked the pool world by winning the World Pool-Billiard Association (WPA) World 10-Ball Championship in 2009. 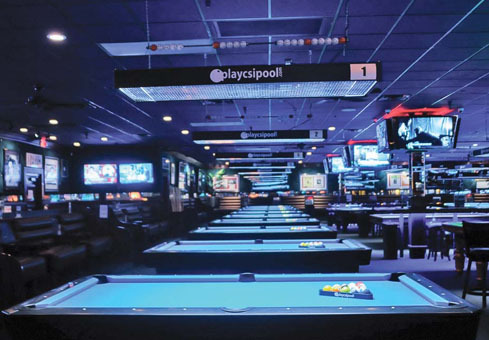 Over the next five years, Appleton would add the WPA World 9-Ball Championship (2010), the World Pool Masters (2009), World Games gold medal (2013) and back-to-back U.S. Open 9-Ball Championships (2010, ’11), International Challenge of Champions (2011, ’12) and World Tournament of 14.1 (2013, ’14) titles to his collection. 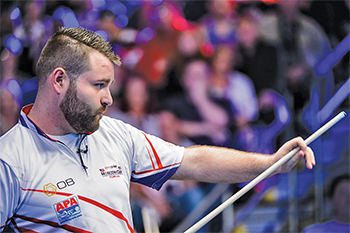 In 2015, Appleton won his third WPA world title when he captured the Chinese Pool World Championship. 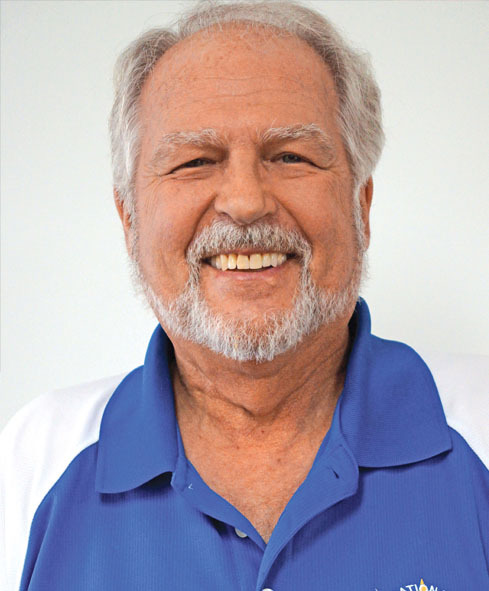 Rossman has been one of pool’s leading trick shot experts, teachers and ambassadors for nearly 40 years. He is considered the founding father of the “Artistic Pool” movement, and is credited with getting the discipline accepted by the WPA. Rossman logs tens of thousands of miles each year putting on exhibitions and teaching junior players and new enthusiasts. Appleton was named on a whopping 87 percent of the ballots in Hall of Fame voting, easily outdistancing Women’s Professional Billiards Association champion Gerda Hofstatter. Hofstatter was named on 47 percent of the ballots. Vivian Villarreal, Jeremy Jones and Shannon Daulton were also on the ballot. Rossman was recommended by the Meritorious Service Committee, and was confirmed with 90 percent approval by the Hall of Fame Board. Appleton and Rossman, the 69th and 70th members of the BCA Hall of Fame, will be formally inducted during ceremonies later in the year. It’s been 10 years since the International Pool Tour died. How will history judge the short-lived $13 million venture that showed the promise and peril of attempting to bring pool into the big time? It almost seems like a fever dream, now that it’s been a decade since its death. 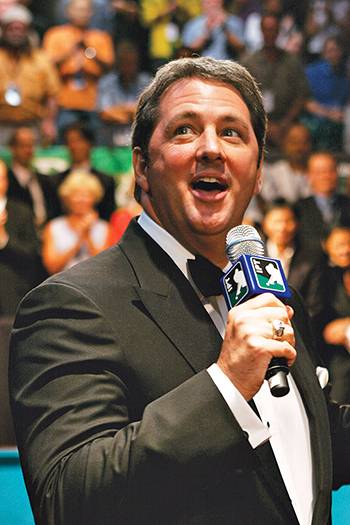 The International Pool Tour, founded and funded by infomercial maven Kevin Trudeau, held four events in 14 months that awarded more than $6 million in prizes. Pool had not seen — and most likely will not see — anything like this in the history of the sport. 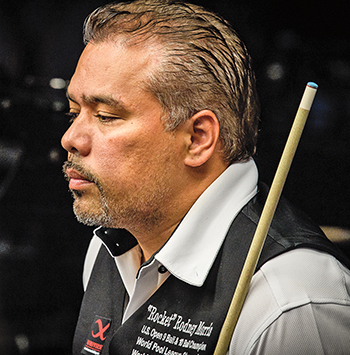 Efren Reyes, winner of two tournaments, pocketed $765,000. The matches were live broadcast across Europe in primetime. Players were told of guaranteed income in the six figures. Though short-lived, the IPT still showered pros like Thorsten Hohmann with briefcases full of cash. What was the IPT’s lasting effect on the game we love? Before telling the story of the IPT, it’s imperative to present the facts that are often lost in the legend of the IPT. First, every player who won money received what they were due. The $3 million in prizes from the World Open, the abbreviated tour’s last stop, were awarded, though it took 14 months and a series of installments to meet the tour’s obligations. Second, players did lose $2,000 paid to play in qualifying events for a tournament that never happened. The IPT postponed and then cancelled its future events, leaving those who had ponied up that qualifier money without recourse. Finally, among the top players who competed on IPT, the consensus was that, despite the missteps, broken promises and eventual failure, it was a good thing while it lasted. Thorsten Hohmann, who netted $350,000 by winning the North American Open, agrees. Trudeau’s events were lavish affairs, brimming with pomp and circumstance, as showcased in the Battle of the Sexes match between Loree Jon Hasson and Mike Sigel. Still, the IPT, coming on so strong and crashing so quickly, affected much more than players’ bank accounts. To see these impacts, it’s worth starting at the beginning. Trudeau’s entry into professional sports was a moment of serendipity for pool, a bit of luck for a sport that desperately needed it. The women’s game, buoyed largely by the WPBA Classic Tour, was in decent shape, with events regularly appearing on ESPN and top players able to support themselves with tournament winnings. The men’s side, though, had little as far as organization. The Professional Billiards Tour Association had collapsed in the decade prior. 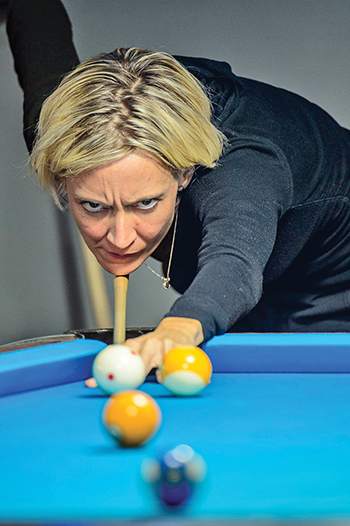 Outside of a few big world championship tilts and the annual U.S. Open 9-Ball Championship, organization was minimal and cooperation was almost nonexistent. The seeds of the IPT, though, were planted a decade earlier in 1994. Trudeau was already a successful businessman, but he was not yet riding what would be a wave of commercial success based largely on his “Natural Cures” brand, including a New York Times bestselling book and ubiquitous late-night infomercials. Long a fan of pool, he caught a radio advertisement for an exhibition in the Chicago area featuring Hall of Famer Mike Sigel. The two scribbled down some notes about prize money. Sigel imagined top prizes around $100,000, with other top finishers pocketing proportionally big bucks. Trudeau, though, had bigger ideas from the start. Eventually, the plan was to hold a kickoff challenge match in August 2005 between Sigel and fellow Hall of Famer Loree Jon Jones in Las Vegas. Dubbed the World 8-Ball Championship, the battle of the sexes paid the winner $150,000 with a consolation prize of $75,000. Trudeau threw a lavish party the night before the event, replete with celebrities. On the day of the Sigel-Jones match, the celebrities (actors Paul Sorvino, Allison Janney and Anthony Anderson, rapper DMX and boxing legend Thomas Hearns among them) entered the arena in true red carpet style. Deno Andrews was taken with Trudeau’s insistence on this being like nothing pool had seen before. By August, the IPT had crash-landed on the pool world. If a guy wanted to get pool players’ attention, big money and bright lights aren’t the worst ways to do so. The IPT initially started with 150 players hand selected by Trudeau and the IPT brass. Potential tour members had to apply for a spot on this lucky list, which may be the first and only time pool players put together resumes en masse. The King of the Hill event, however, would only see 42 players compete for the $1 million prize fund, with $200,000 going to the winner. Still, the IPT managed to get all 150 players to Orlando for the event, because a mandatory players meeting promised to detail just what the tour had in store for its first year. 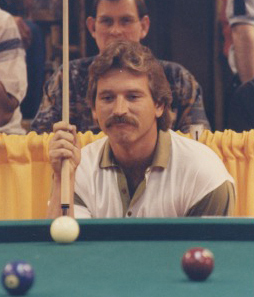 Appleton, whose involvement with the tour led to him ditching English 8-ball for the American variety, was equally blown away. Reyes scored pool’s biggest ever prize. Reyes outlasted Sigel, who was awarded an automatic spot in the final after his win in the challenge match with Jones, to take the top prize, while Sigel settled for $100,000. The IPT had held its first real tournament — and it ended with 42 players pocketing money unlike any event before. Six months later, the North American Open brought 200 players to the Venetian in Las Vegas for a chance at the $2 million purse. The top prize was $350,000, the biggest single payday in the history of pool. EuroSport was broadcasting the event live in primetime. Deals were made with Outdoor Living Network to replay the matches for North American audiences. Before a ball was struck, this event was the most significant tournament in years. The grueling round-robin, multi-round format had players playing four or five race-to-8 sets a day, often clocking more than 12 hours at the table. Hohmann eventually prevailed over Filipino snooker convert Marlon Manalo. But what happened on the table took a backseat to the event itself. The bright lights, the professional production, the class of such an event seemed to mark pool’s arrival as a legitimate sport. But just two months later, at the IPT’s fourth event, the wheels fell off what everyone thought was pool’s gravy train. The World 8-Ball Championship began with Trudeau announcing the cancellation of a scheduled event in London, which had some of the 200 players nervous about what was to come. Regardless, the $3 million prize fund went a long way to relieving any anxiety among the players. The grueling tournament schedule, again having players compete nearly nonstop for days at a time, left Rodney Morris facing Efren Reyes for the $500,000 top prize. 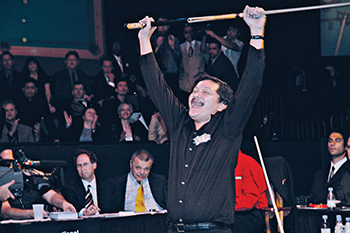 The on-table action ended with the Filipino legend pocketing the top prize while Morris “settled” for $150,000. All the players left the Grand Sierra Resort and Casino in Reno, Nev., with nothing. Players walked away with promises of future payments, but concerns that were raised at the players meeting became very real for those with a stake in the game. Rumors circulated about a proposed deal with Stanley Ho, a billionaire casino magnate based in Hong Kong, to buy the tour. The supposed windfall from this would have supported the tour’s future, Trudeau insisted. But an agreement never materialized. Also, on Oct. 13, 2006, President George W. Bush signed into law the Unlawful Internet Gambling Enforcement Act, which outlawed wagering over the Internet for individuals in the U.S. This, according to the IPT, impacted the tour’s ability to market itself to potential buyers. Over the course of 14 months, in nine installments of 11 percent, the payments arrived. All the while, no further tournaments were scheduled. The IPT staff, once more than 20 people, was slashed to a skeleton crew of five. Unable to produce profits through events, Andrews pivoted to reducing costs and raising what revenue he could through streaming recorded matches online, selling DVDs and collecting TV and product royalties. The money wasn’t flooding in, but it was substantial enough to cover roughly half the amount owed to players, according to Andrews, with Trudeau covering the remainder. While the payments trickled out, the IPT held seven challenge matches, one-on-one events that were streamed online. The response was tepid and a steep decline from the glitz and glamor of the major tournaments that preceded them. The tour continued on in a sense, but it was evident to everyone within the sport that the IPT of 2007 was a far cry from what the tour had been just months before. With the future of the IPT falling well short of expectations, Sigel took issue with players who quickly lost faith in the IPT. Andrews, however, puts blame on those around the game. No expense was spared in the production of IPT events, including a sparkling arena to dazzle the masses. Regardless of where blame lies, those who had the most to gain from the IPT adventure felt a real sense of loss once it was clear things weren’t going to turn out as advertised. “I had a chance to win $500,000 and then I had to go try to win $10,000?” Morris said. “I lost a lot of motivation. I did a lot of soul searching at that time. For about a year there, I didn’t know what I was going to do. I was depressed for a while. Hohmann, another player who had profited immensely from the IPT’s short run, expressed similar feelings. Once the players had been paid in full, Andrews met with Trudeau to discuss the IPT. More than $13 million had been invested, including prize money, production costs and marketing. The operation, already stripped to its bare minimum, was barely paying for itself. The IPT, as it had been packaged from the beginning, was all but dead and buried. At that point, pool’s golden goose decided to pull the plug. The slow death, as Hohmann put it, had come. But now, in 2016 and a decade after the cash was stacked on the pool table at the first event, the question still remains: Was the IPT a net positive or negative for pool? Sigel, who first hatched the concept of the IPT, agrees with Andrews, who was involved in the execution of that idea. “Pool players can be some of the most loyal, trusting and straightforward people,” Andrews said, who continued to work with Trudeau until 2013. “Really the promoters are goofier than the players. The players show up, they pay their expenses, they pay the entry fees, they practice. They do all this stuff, and it’s such a basic thing: Pay them on time.